The London Borough of Hammersmith & Fulham has granted consent for the creation of 5No. new residential apartments on Wandsworth Bridge Road. This scheme forms part of an overall redevelopment and regeneration to a parade of terraces to create a total of 8 No. new apartments together with new ground floor retail units. 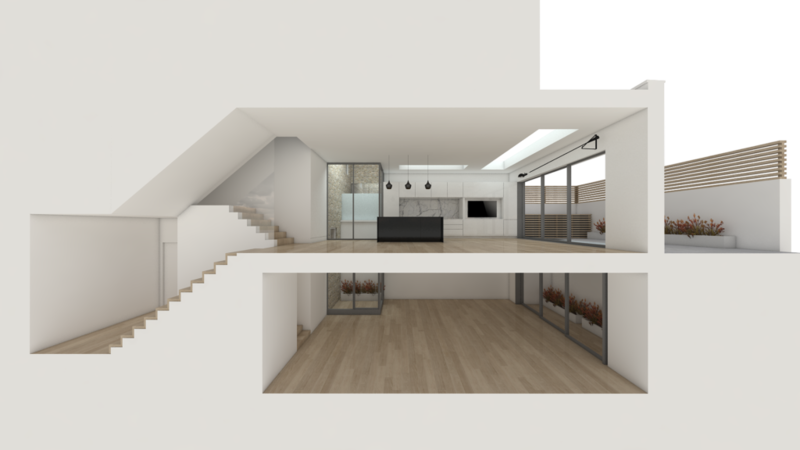 The main alterations to the property are to the rear of the building through the creation of new basement accommodation, glass lightwells, above ground extensions and loft conversions. The front of the property will be restored and refurbished back to its original vernacular to respect the protected parade within Studdridge Street Conservation Area.